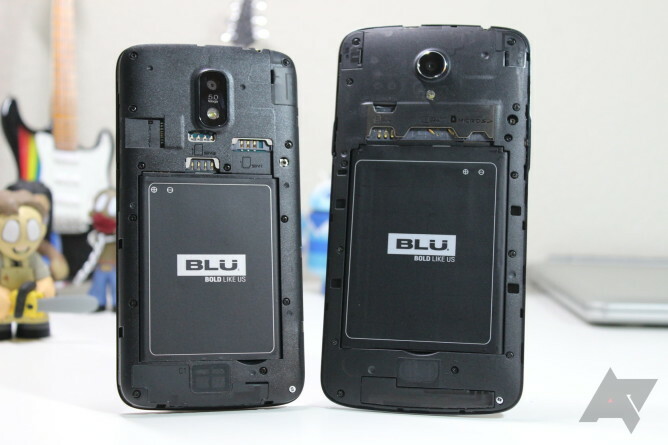 Back at CES in January, Blu announced a handful of upcoming devices that were all basically slated to hit shelves in the first quarter of 2015. We've already taken a look at two of those phones: the super sleek and thin Vivo Air, as well as the massive battery-packing Studio Energy. Today, I have the Studio X Plus (which is exactly like the Studio X, just larger) and the ultra-affordable Studio G, two more devices that were announced in that same lineup. 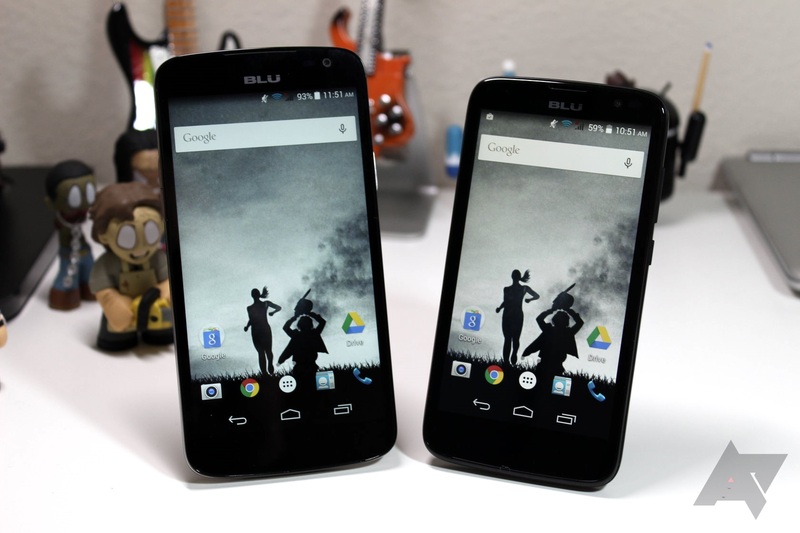 Both phones are from Blu's Studio line, which is basically Blu's midrange series of devices. You typically find slightly slower processors and lower-quality displays than what you'd see on the company's higher-end devices, but they also have prices to match. The Studio X Plus and G are no exception to this rule, as the X Plus comes in at just $150 and the G is available for a meager $99. For those prices, I already think these are both good deals. Let's take a closer look at each now, starting with this Studio G, which offers a lot of bang for the buck. 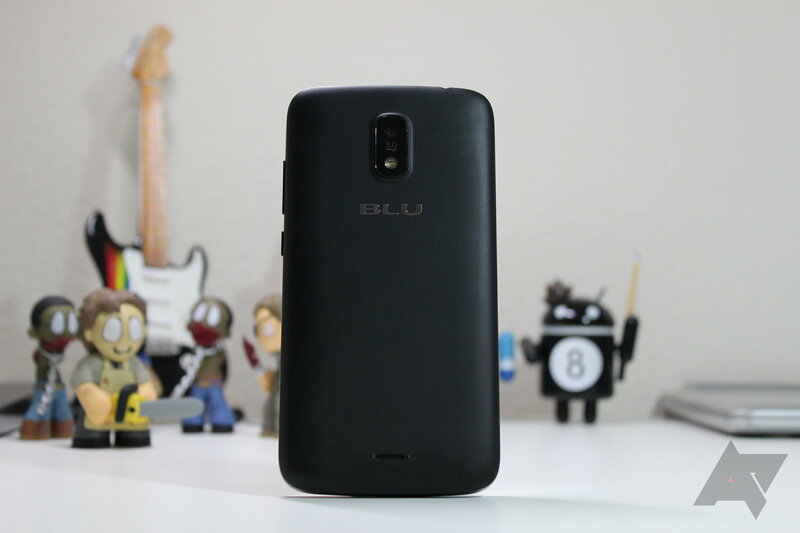 Also, shoutout to Blu for using on-screen navigation buttons instead of capacitive keys! So, this is a $99 phone. Personally, I would never expect much from a $99 phone - and I don't think most of you would, either. In a world where people routinely drop $500+ on their phones, it's pretty easy to see how a hundred dollar handset could be pretty crummy. But really, I think Blu has done a good job here with such a budget-friendly handset. 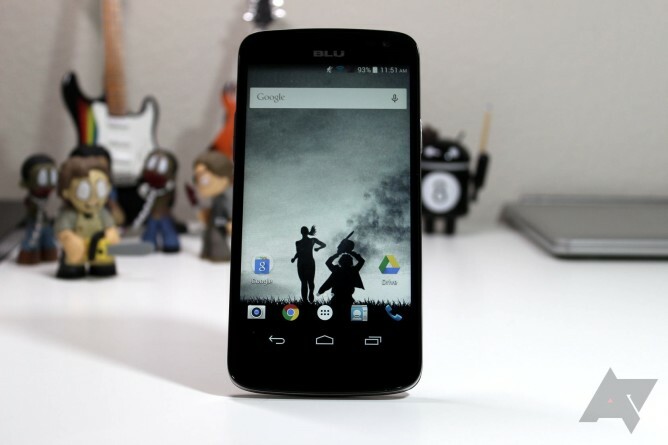 In fact, I've reviewed/used devices that cost twice as much and aren't as good. At the same time, I've also seen similarly-priced phones that are probably just as good if not better (like the Moto E). From a design standpoint, the G is a simple little device and definitely nothing to write home about. It's got a modest 5-inch display with a meager 480x854 display, an acceptable 9.9mm-thick frame, removable back, and decent 5MP shooter. It's actually packing the same quad-core MediaTek MT6582 processor as the Studio X/X Plus and Studio Energy, and in fact probably performs better than both due to the lower-resolution display. The paltry 512MB of RAM is a little hard to swallow in 2015, but for all intents and purposes it gets the job done...on the most basic level, anyway. A powerhouse it is not. When you take the price into consideration, though, it's actually pretty solid. The display isn't nearly as bad as you'd expect from a 480x854 panel, most likely due to Blu's "Infinite View" technology, which I'm a big fan of - it always makes a display look higher resolution than it actually is, at least to my eyes. 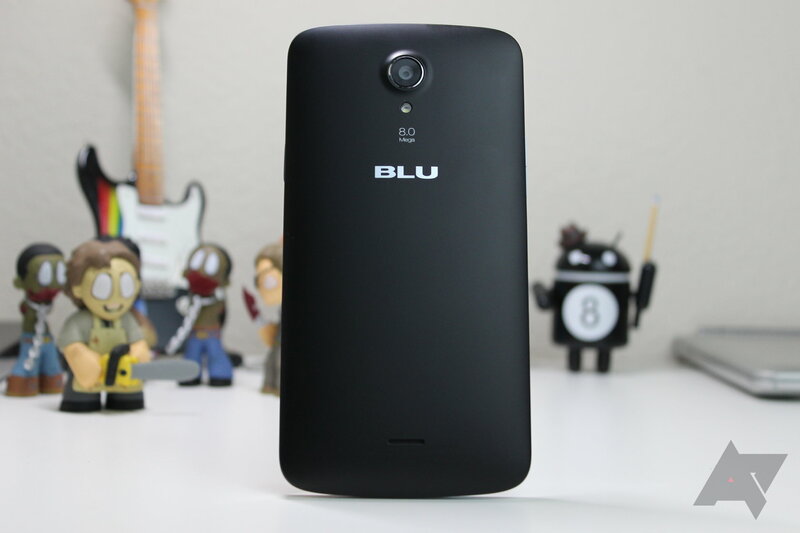 As I said earlier, it actually performs a bit better than other Blu phones with the same processor, and it routinely outscores the Studio X Plus in AnTuTu. Of course, I've never been the biggest fan of comparing devices just using benchmarks, as "real-world" experience is what really matters. Even then, however, the G just feels snappier than the X Plus, at least initially - I'm sure that on a long enough timeline that 512MB of RAM would really start to show itself compared the 1GB in the X Plus. As far as build quality is concerned, it's actually not bad. It's lightweight and made entirely of plastic (naturally), but the buttons feel surprisingly good - not squishy in the slightest. Good amount of travel, too. 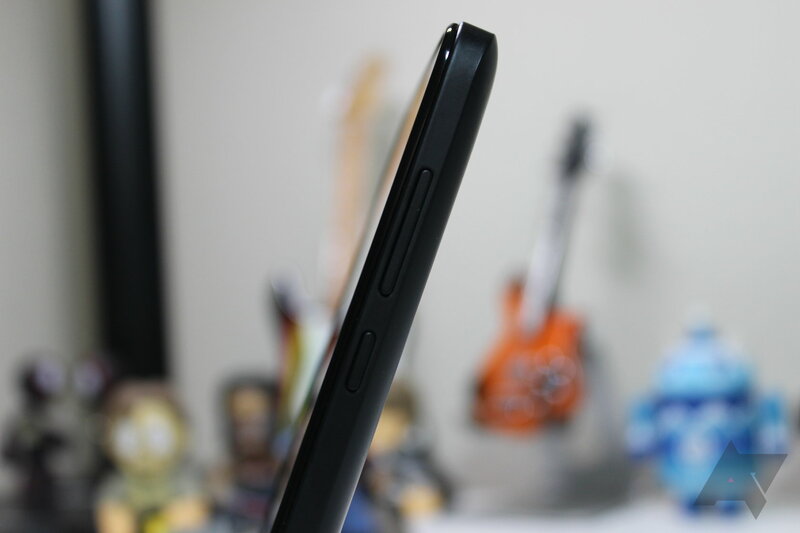 The entire back piece is removable, which is where the dual SIM and microSD card slots are found. Overall, it's a decent super-affordable phone. Everything about it is as good or better than you'd expect for its given price point, so there's that. 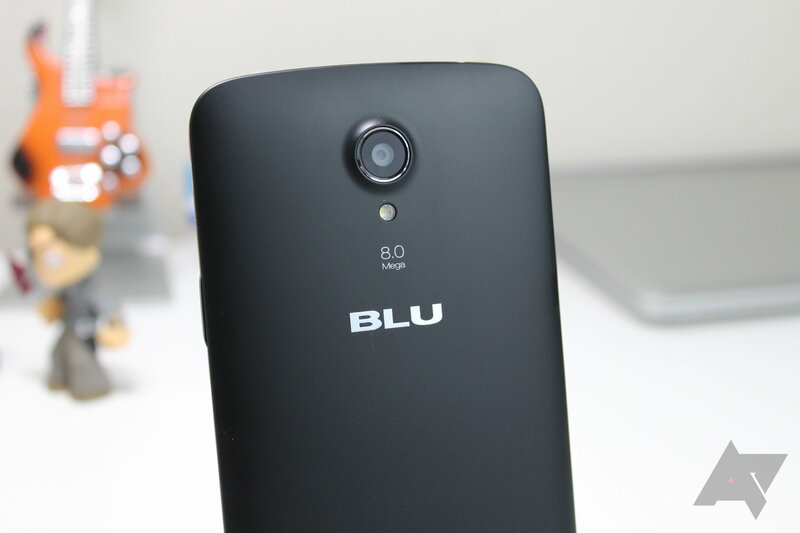 It's also worth noting that Blu has already said it plans on updating the Studio G to Lollipop; in fact, it even advertises the OS as "Android 5.0 Lollipop (Upgradable)" on the box. I'll be interested to see how that works out with just 512MB of RAM. 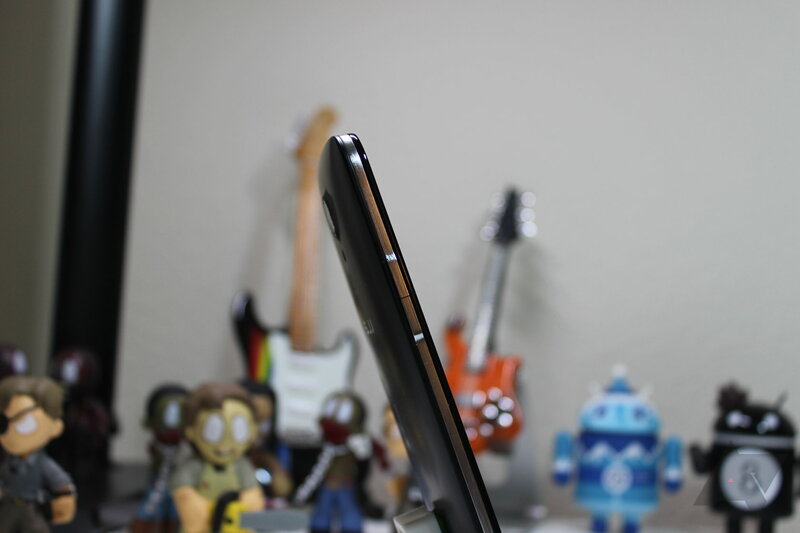 The Studio X and X Plus are virtually identical in every way, save for the screen size (the X is 5.0, X Plus is 5.5). Thus, this hands-on should apply to both devices even though I'm only using the X Plus. So, yeah. The Studio X Plus is pretty simple from a design perspective: soft-touch removable plastic back, unassuming black front, and a silver plastic band surrounding the entire thing. The power button and volume rockers are found on the sides of the device and blend in rather nicely with said plastic band. It's not a bad look, actually. And its guts? About the same: understated, modest, get-the-job-done innards. The MediaTek chip that powers the whole thing is the same as the one in the Studio G and Studio Energy, so it's not the best that I've ever used - even from MediaTek. That said, it'll do the trick...as long as you don't bog it down too hard. Trying to run three or four persistent background processes, for example, will prove to provide a less-than-stellar experience. But really, it's a $150 phone - keeping your expectations in check is key with budget smartphones. The display is a bit better than the G's panel, which honestly is to be expected - it is higher-res, after all. Color reproduction also seems to be a bit better, as you can probably tell from the hero image at the top of this post. The X's display seems to be a bit warmer than its smaller cousin. Like the Studio G, the build is decent. It's all plastic, but it doesn't necessarily feel "cheap." It feels like more than $150 worth of phone, I'd say. 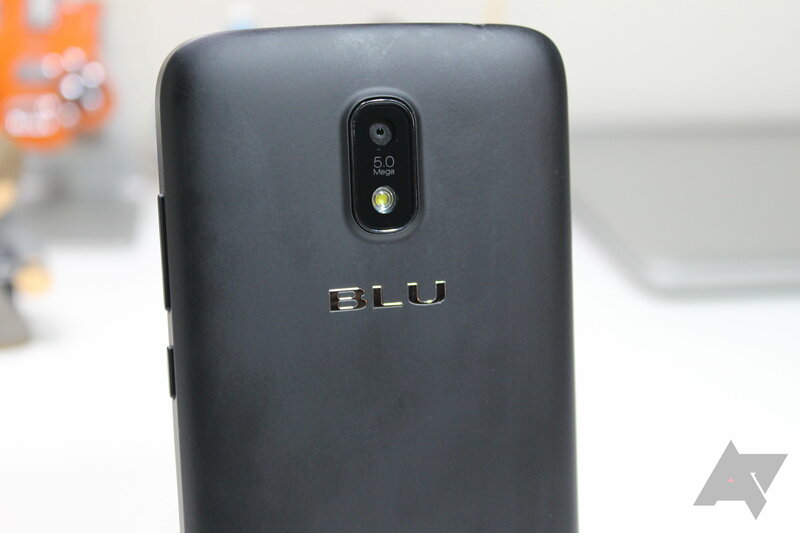 Also like the G (and other Blu phones announced at CES), the company has plans to update the X and X Plus to Lollipop - again advertising such on the box. 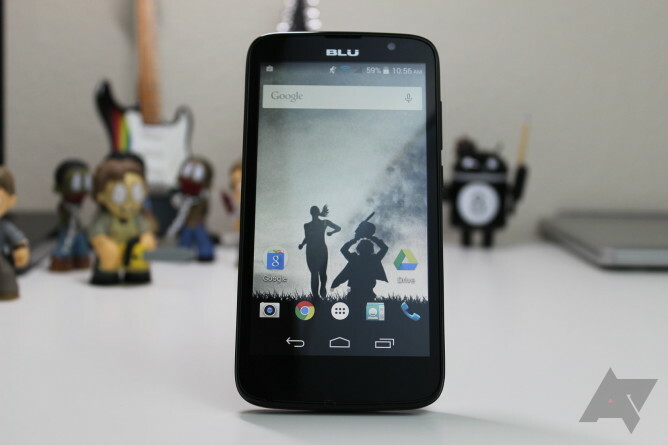 While I questioned the whole "Android 5.0 (upgradable)" on the packaging at first, I think it's a good sign that Blu is definitely committing to the update. This really puts them on the hook, and I think this phone will benefit greatly from 5.0+. Both the X Plus and G are available for purchase exclusively from Best Buy.